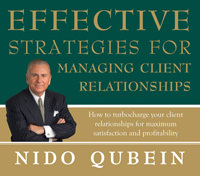 Building client relationships and creating effective sales programs are at the core of a successful business. This session gets to the root of why consumers buy and how the marketplace determines the value of your products and services. These ideas will challenge you to become a value interpreter and boost your business goals to new heights. Why Should I Buy a Ticket to Your Park?